Hustler is one of the most unique attractions found at Fiesta Texas. Opened in 1992, it is the only billiard-themed teacups ride in North America. Guests can climb into their own pool ball and control the spinning of their ride vehicle during the cycle. 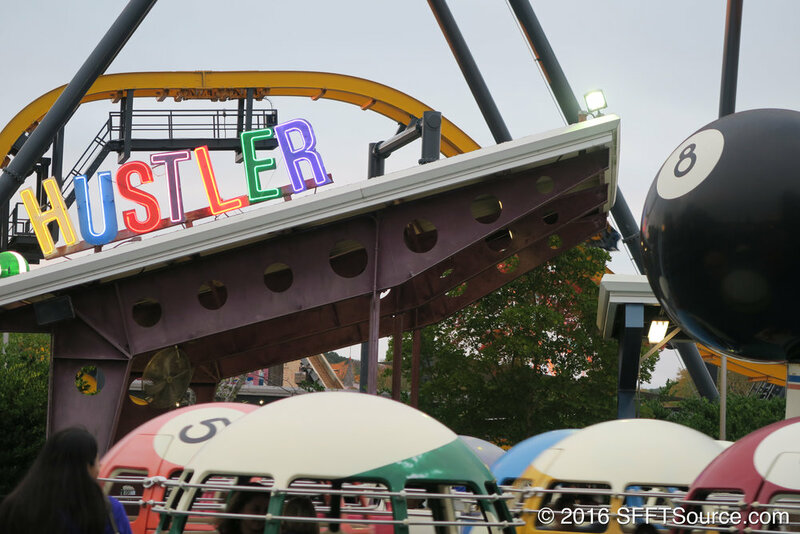 Hustler undergoes extensive refurbishment beginning in February and reopens to the public on April 13.